You know the Scalloped Lace Toddler Cardigan? The one I ran out of yarn for and had to order more and waited and waited and waited for and finally received and bound off all of about 48 hours ago (pictures to follow)? That sweater?? Well. Look what I just found while digging around in my yarn stash? Yes. That would be the skein of yarn that I thought I had but then couldn’t find and thought I’d used up. 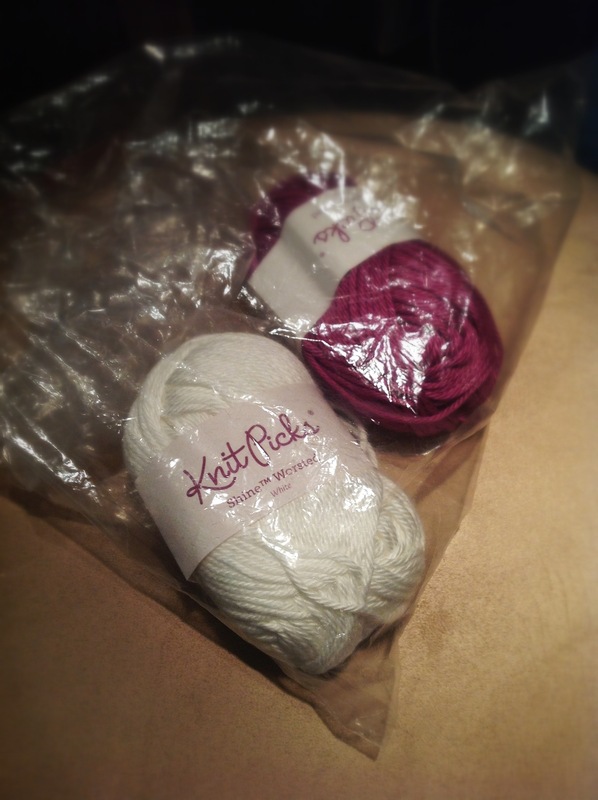 But it was actually sitting there, plain as day, in a bag with another color that I ended up not using in the sweater. Posted on October 4, 2012, in humor, knitting, projects and tagged knitting, Scalloped Lace Toddler Cardigan, yarn. Bookmark the permalink. 2 Comments. Of course the new yarn was here and the sweater was done before I found the original skein. Serves me right for being too lazy to double-check how many I ordered.